As you look for an individual plan, you might be asking yourself: What plan is right for me? Which plan do people like me choose? If you're a person who is in good health, you might want to consider a high-deductible PPO that's compatible with a Health Savings Account. This option is best for people who don't visit the doctor often, and are looking for major medical coverage. If you'd rather have more comprehensive individual health insurance coverage, such as preventive care coverage, consider a PPO or HMO plan with a lower deductible. You might not be able to use an HSA, but you'll have coverage for routine doctor's office visits and other preventive care. Typically, you'll pay between $30 and $40 for a doctor's office copayment depending on your plan. With this type of plan, you'll also have major medical coverage. Even if neither suggestion seems right for you, there plenty more options to choose. What's the best way to find out which individual health insurance plan is right for you? Get free quotes and get expert advice from a professional agent. Finding individual health insurance is not an easy task. Here's where we come in. We make it easy for you to find the right plan, company and rates. As a licensed agent we can also help you sort out all the details of a health insurance plan — and help you with the application process. 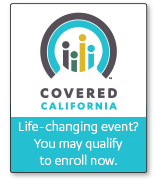 When you use our secure online service, you'll be instantly connected with health plans from leading health insurance companies in California. Just fill out a simple form to get free health insurance quotes right now. And don't worry — you have no obligation to buy anything, and it's 100% risk-free.